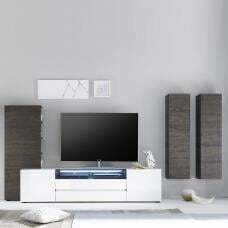 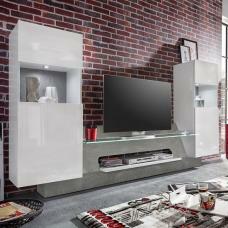 Frantin Living Room Set In White With Gloss Fronts And Stone With LED Lighting, will enlighten any living room with it's elegant touch and style. 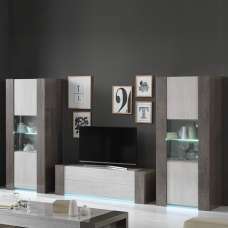 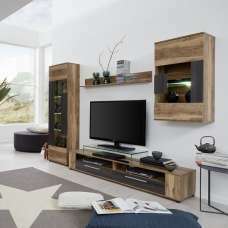 This Living room set consist of Tall Display Cabinet, A Hanging Display Cabinet, A Lowboard and A Wall Shelf. 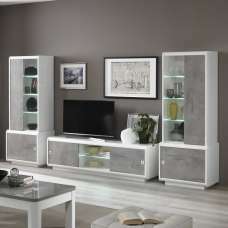 It gives a wonderful look and also offer the necessary storage space you need for everyday things. 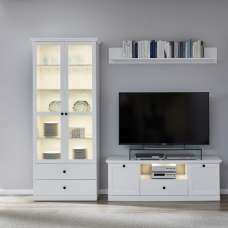 LED lighitng is included to lighten up the display. 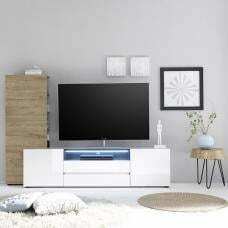 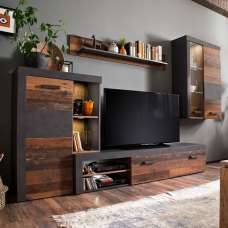 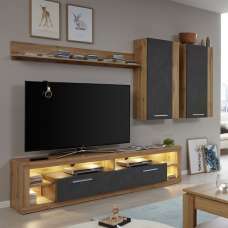 It will be a perfect choice to upgrade your living room. 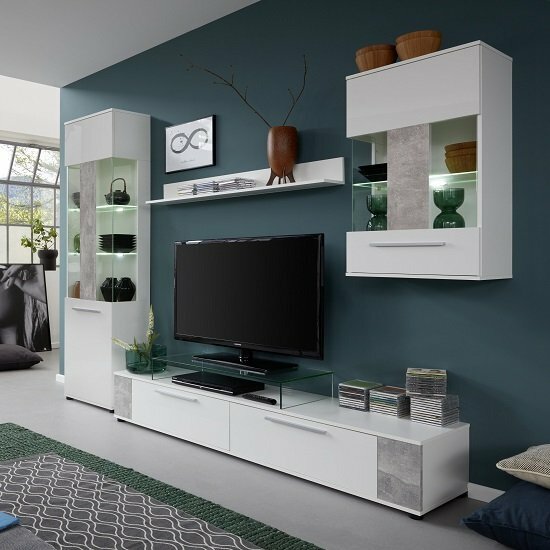 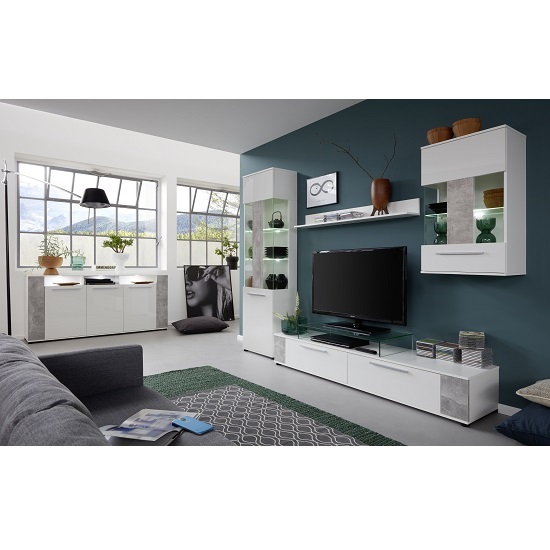 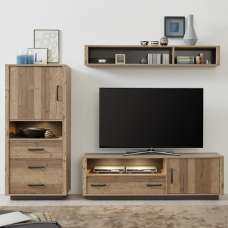 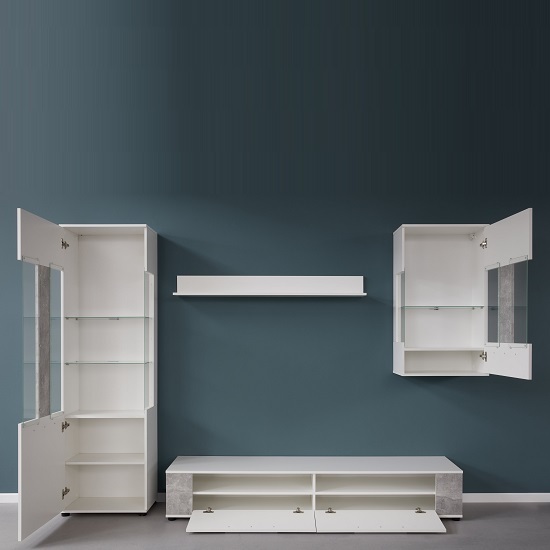 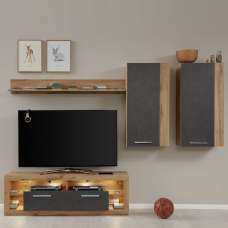 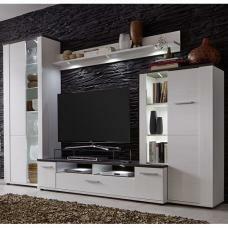 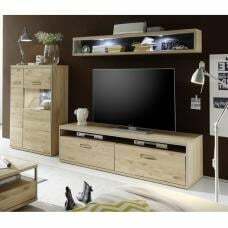 This Set includes 1x Tall Display Cabinet, 1x Lowboard TV Stand, 1x Wall Shelf And 1x Wall Display Cabinet.